Ethiopia's government has temporarily banned its citizens from travelling abroad to look for work, the state-run Erta news agency reports. The foreign ministry was quoted as saying countless Ethiopians had lost their lives or undergone untold physical and psychological trauma because of illegal human trafficking. The decision was meant to "safeguard the well-being of citizens", it added. The travel ban will remain in place until a "lasting solution" is found. The ministry said the government had taken various measures to limit the suffering of its citizens, including setting up a national council and a taskforce to educate them. But those measures had not been able to address the problem sufficiently, it added. Employment agencies will also be barred from facilitating travel abroad. The scarcity of work opportunities is a major factor fuelling emigration from Ethiopia, which has Africa's second largest population. Youth unemployment is officially estimated at more than 50%. Human rights activists also say a significant number of those classified as economic migrants flee the country because of political and economic oppression or ethnic discrimination by the state. 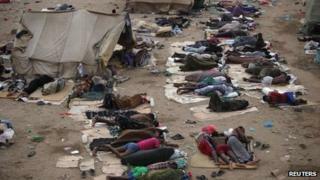 Many Ethiopians try to reach Saudi Arabia, travelling via Yemen by sea and entering the kingdom illegally. Thousands of others head for South Africa, Israel and Europe. They often end up being smuggled, trafficked or subjected to mental and physical torture. And once they reach their destinations, many require humanitarian assistance or face a wide range of abuses from employers.